Here is a wonderful PD tool I discovered today through Educational Technology Guy. 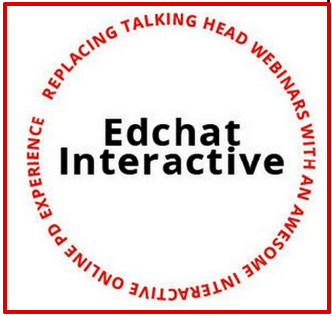 Edchat Interactive is a platform founded by 3 of the most connected educators out there: Steven Anderson, Tom Whitby and Mitch Weisburgh. This platform is meant to provide teachers and educators with an easy and accessible way to develop professionally through a host of free webinars delivered by a wide-range of educators.